In celebration of the well-rounded year of 2010, we’re featuring 10 design-related books, articles and competitions chosen to inform and inspire. 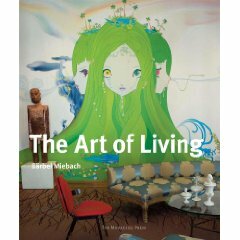 This telescope of a book allows us to live vicariously via photographer Bärbel Miebach’s lens, peeking into the private spaces 25 internationally recognized designers and artists such as Vivienne Tam, Ellsworth Kelly and Benjamin Noriega-Ortiz. Satisfying our inner Gladys Kravitz, Miebach exposes the inner sanctuaries in which these individuals find their inspiration and foster the creativity on which they have built their illustrious careers. Recently featured in The New York Times article “Multicultural Critical Theory. At B-School”,” Roger L. Martin, dean of the Rotman School of Management, came to the conclusion a decade ago that “that students needed to learn how to think critically and creatively every bit as much as they needed to learn finance or accounting.” Building upon that notion, this book argues that companies will only surpass their competition through the implementation of innovative design thinking. 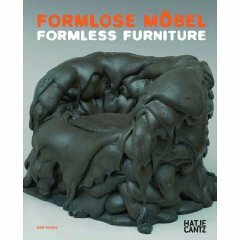 The term “formless furniture” at first appears to be a bit of an oxymoron, but Peter Noever, the Director of MAK Vienna: Austrian Museum of Applied Arts/Contemporary Art, doesn’t think so. He shines a light on five decades of furniture designers – Joseph Beuys, Frank Gehry, Lynda Benglis, and Ron Arad, to name but a few – who have combined art and function to create unstructured beauty. Published almost five years ago, this homage pays tribute to this ahead-of-her-time decorator, who also happened to be the sister of celebrated architect David Adler. 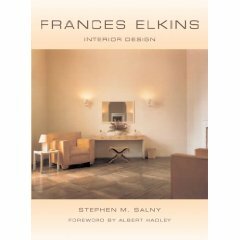 Author Stephen M. Salny explores over 30 years of Elkins’ dazzling and innovative work by featuring 29 of her interiors. A master at combining decorative styles spanning many historical periods, Elkins paved the way for the interior design industry as we know it today. Our industry morphs faster than a caterpillar blossoms into a butterfly, and it’s imperative to know what’s next if we want to survive. 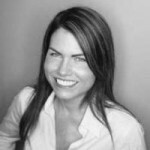 The Earth Advantage Institute is helping us out by identifying what they see as the top eco-focused trends having the most tread in the residential building sector. Even those of us who have been in the design biz for a while could oft-times use a refresher course when it comes to terminology. This recent article from Sherwin-Williams’ STIR magazine breaks down the differences between tint, shade, tone, value and saturation so that we can say what mean and mean what we say. Though this piece was actually published in Interiors & Sources back fall of 2008, its message has certainly remained relevant. The suggestions outlined will speak to anyone who has either had to access, de-clutter or maintain a large sample and product library. Viva nouvelle technologie as it certainly helps us streamline. Sponsored by the Educational Foundation of International Furnishings & Design Association (IFDA), the Raymond Waites Design Competition is an opportunity for students to compete on a national level. 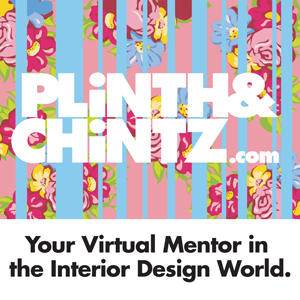 The prize is $5,000, plus a trip to the April High Point Market, where the winner will tour top showrooms and attend IFDA designer luncheons and informative seminars. The winner will also have his/her winning entry on display and be guest of honor at an event hosted by Raymond Waites, who is recognized as an industry icon and leading force in interior fashion trends. Interiors & Sources magazine and the American Society of Interior Designers (ASID) are partnering for another year on the Bloom Awards, which are dedicated to recognizing the achievements of sustainable products in interior commercial design. In five different categories – furniture, flooring, textiles, lighting, and innovative materials – the awards honor products that embody both aesthetics and environmental responsibility. Join the ranks of the world’s most creative, innovative and globally responsible products; making you – and your products – an industry leader. The International Interior Design Association (IIDA) invites any design professional practicing legally in their jurisdiction to enter the 37th Annual Interior Design Competition or, if working in a firm of five or fewer employees, to enter the 18th Annual Will Ching Design Competition. The former honors outstanding design in the following areas of practice: Corporate, Education/Institutional, Government, Healthcare, Hospitality, Residential and Retail/Showroom. The latter encourages new ideas and techniques in the design and furnishing of commercial spaces. For either competition, the project entered must have been completed after January 1, 2008.